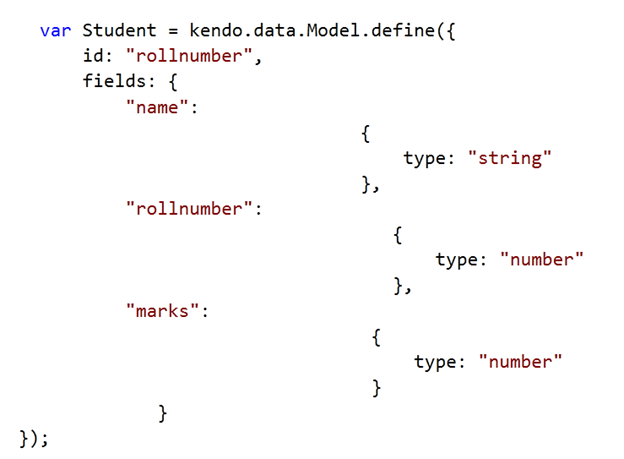 Rollnumber is set as identifier field of this model. 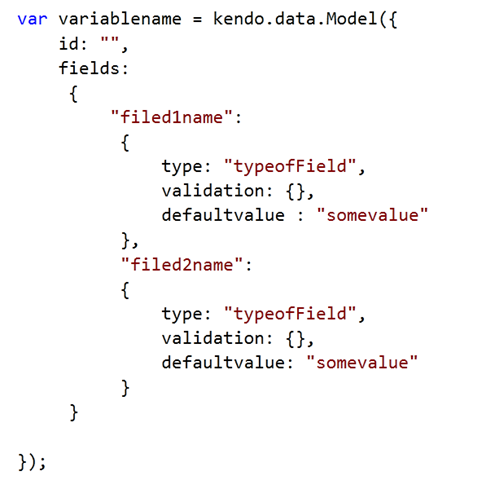 Type of the fields is set in the type attribute. 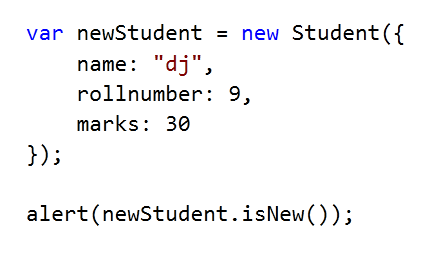 You can create object of a model as below. 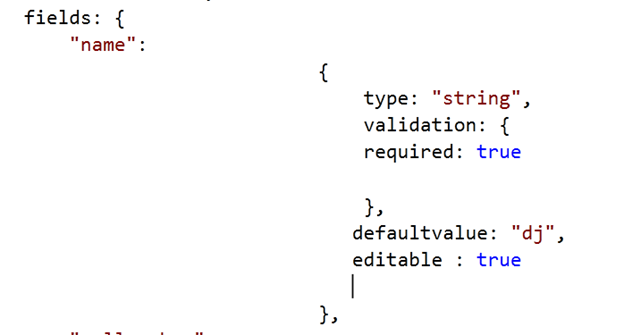 Default parsing function for a field can be set. Name filed in the model is created with different attributes. For example this name field is editable and its default value is dj. 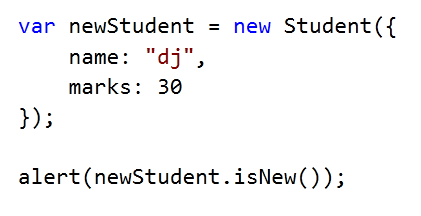 If you change above model as following, you will get true in alert since id of model is not set. In this way you can work with Kendo.data.model. I hope you find this post useful. Thanks for reading.